As we continue to push further into the scorching period of mid-summer, some out there are still curious to know when we’ll finally hear an official word regarding the release of the LG Optimus 3D. Already, we’ve seen the handset listed and sold on eBay, but now we find it listed over on Amazon UK with an interesting piece of information attached to it. 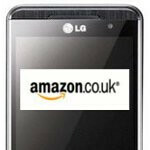 From the looks of it all, the SIM-free handset is available for pre-order through Amazon UK, but more importantly, it’s graced with an expected release date of June 20. Needless to say, it’s super pricey right now at £600 ($980), but nonetheless, it’s one handset that’s sure to impress many with its dual-core processor, glasses-free 3D display, and its ability to capture 3D videos as well. Obviously, the anticipated release date can always change unexpectedly, however, its arrival seemingly falls in line to what T-Mobile UK and Three are aiming for – which is of course, a release time period of June and July respectively. geeeeeezuuuuuuussssss 900+???? cool toy, but seriously??? that price will drop to 120 on 2 year terms in 4 months.... i'll wait.